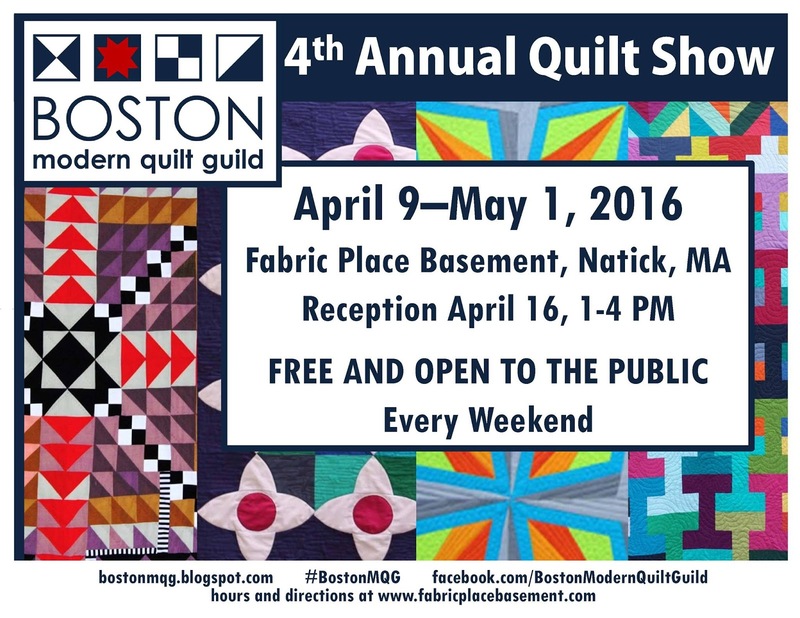 The Boston Modern Quilt Guild is hosting their 4th Annual Quilt Show at Fabric Place Basement this month into May! The show is always wonderful and our members are looking forward to attending. More information can be found on their Facebook page. 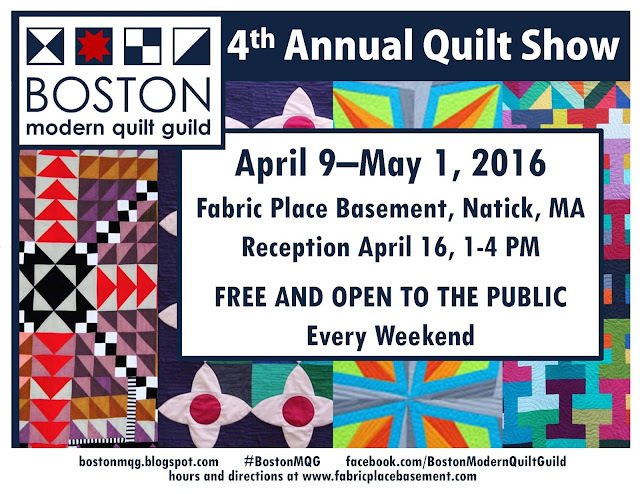 Following the show on the 16th please join members of the Boston Modern Quilt Guild for a fun reception. The reception will feature members chatting about the quilts on display, refreshments, and a handmade goods boutique!